This is a shining example of a highly productive Sunday afternoon. 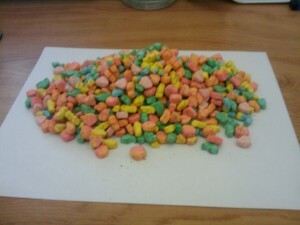 I separated the marshmallows out of the cereal. Then I threw away the cereal. Then I ate the marshmallows. That’s a normal sheet of paper to get a sense of scale. For what it’s worth, the cereal was stale and wasn’t going to get eaten anyway.